I've mentioned before that I'm a 'great previewer of books,' so I am seldom disappointed in a book I choose to read. Occasionally, when a trusted friend gives me a recommendation and says, "Just read it," I do. No questions asked. My friends know what I like and what I don't like. I read the book, admired the style of writing, and - sure enough - my sentiments were somewhat similar to my friend's text when I finished. I was impressed with the book. Was it appropriate for sixth graders? Well, I felt like it might be for some of them. There's nothing really inappropriate about the book, in my opinion, but the main characters are around 15 years old and they talk and act like most young people that age. There are a few 'bad words' in it, but very few. So,...I had a decision to make: Do I recommend this great book to my students or not? I decided to share the book, on a limited basis, to just my advanced reading students in one class. Most of them read more mature content on their own, anyway. 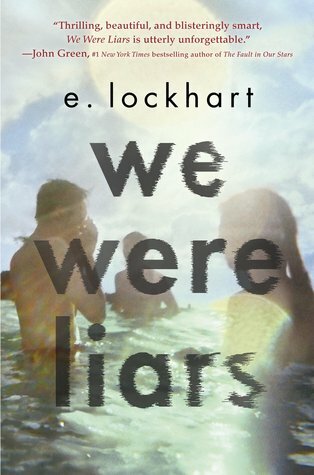 I introduced the book to my students and told them it was a well-written book I highly recommend. I also told them it had a few things in it more appropriate for 15 year olds, but I felt they could handle it okay. I also told them it had a few 'bad words' in it and if they, or their parents, had a problem with that, they should not check it out. I had bought several copies and asked if anyone was interested in borrowing one. I told them I would put their name in a drawing to see who could borrow a book first, if more than four people were interested. Most of the class put their names in the drawing, and I drew out four names. I had the students stand in front of the class, raise their right hand, and take a pledge. Basically, the pledge was that they were going to read the book beginning that day, not share it with anyone else, and the only people they were allowed to talk to about the book were people who had already finished it. I never intended it to become a secret book club, but that is what has happened,...and it's spreading like wild fire! The first round of students to get a book have already finished it. They came to my classroom to talk about it, so excited! The second round is reading it now, and I've been asked to order more copies, which I've done. It's so great to see so many students excited about a book and having fun whispering about it with other readers. They've actually connected with other students they don't normally hang out with, and I've been impressed with the feedback I've gotten from them about what they liked best about the novel. In keeping with my own pledge, I would like to recommend this book to you...without saying anything about it. Yes, I know it makes no sense,...but it will...if you just read it. The only books I've ever put my name in are the ones I keep in my classroom and share with my students. My oldest daughter, who is a graphic designer, made me adorable bookplates a few years ago. The bookplates are very helpful in a school setting. Whenever someone finds one of my books somewhere else on campus (or on the bus), they are quick to return it to my classroom library. Oddly enough, though, I never thought to put bookplates in the books I have at home. In fact, I've seldom ever written my name in them. I've never had a reason to because the friends who borrow my books always return them. I don't worry about losing them. Recently, though, I have looked at the designs of all types of bookplates and wanted to make my own for my library, you know,...for fun! If you'd like to make some self-adhesive bookplates for your own books, I'd like to suggest a great DIY I learned about online. Buy Avery labels, they come in almost every size and shape you could want, and make your own. The great thing about Avery labels (which I've always used for stuff in my classroom) is you can go online, create a free account, see different templates and designs, and make your own. Once you've made your own, you just put a sheet of labels in your printer and "TAADAA" - bookplates! I've made several different ones, but I love them all. I think it's a nice touch, and I like that I made them myself. It's an easy way to put your style, and your information, inside your personal collection of books. 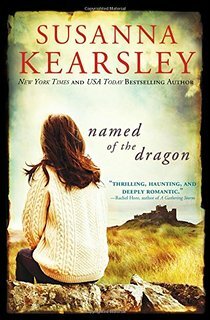 I recently finished Named of the Dragon by Susanna Kearsley, and I really enjoyed it. Kearsley never disappoints me with her wonderful historical fiction novels. Her stories feed my wanderlust, and I revel in the places she takes me. I was in Wales for Named of the Dragon, a place I've always wanted to visit, and there was no shortage of strange occurrences going on. And, as always, the author included a good bit of history that I knew nothing about (and, of course, I just had to research it afterwards). I've read a couple of smaller novels between Kearsley's Named of the Dragon and her The Splendour Falls, but I'll talk about those on another day. 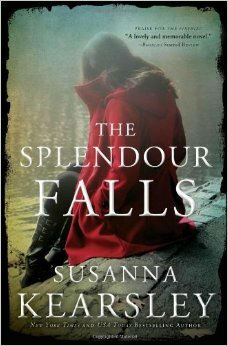 I just started The Splendour Falls today, and I already love the setting of Chinon, France, and the premise of the story. I mean, who doesn't love old castles, royal rebellions, haunted towers, beautiful landscapes, and lush vineyards? It makes for a wonderful mixture for a bit of a gothic tale, don't you think? With every Kearsley novel I read, she rises in my ranking of pleasure reads. You know, there are plenty of times I read for information, for research, for work, and for higher purposes. When I read Kearsley's novels, though, it's to take a mental vacation to go traveling in my mind, while learning something about world history along the way. I can't swear to it, but I'm pretty sure Joshilyn Jackson must have come from the same crazy family tree that gave birth to me. Her characters' photos are surely a part of my Mamaw's favorite scrapbook, and they must attend every family gathering we have. I mean, that must be the reason she knows my whole extended family like the back of her hand, right? I guess you can tell I'm a big fan of Jackson's kind of fun. Her books are very entertaining and tend to showcase the beauty one can find in the flaws of family. It isn't that she explains why our relatives are the way they are, no one can do that, it's that she holds them up for us to look at from a safe distance - with a cocked eyebrow, a kind heart, and good dose of humor. I finished gods in Alabama some time ago, and I was quick to pass it on to friends I knew would enjoy it. 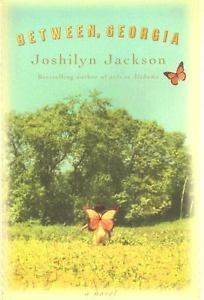 I recently finished Between, Georgia, and it lightened my heart, as all of Jackson's novels do. I read a review where someone said that Jackson's characters and stories seem the same. I completely disagree. While her characters are all Southern (and who doesn't love that? ), they all have a different story to tell. Every one of their circumstances, and the conflicts that drive the stories, are all different. So, if you like your books with more than a little Southern sass, or...if you're not Southern and you'd like to know what you're missing, you should read one of Joshilyn Jackson's novels. If it doesn't do anything else, I promise it will shock you, and it will definitely make you laugh!